Connexin 32 antibody LS-C14537 is an unconjugated rabbit polyclonal antibody to mouse Connexin 32 (GJB1 / CX32). Validated for IHC and WB. Synthetic peptide derived from the C-terminal sequence of the mouse connexin 32 protein. Recognizes mouse connexin 32 in liver and brain. On Western Blot with mouse liver cell lysates, Cx32 exhibits a band at 32kD. Reactivity is confirmed with mouse liver lysates. Species sequence homology: human and rat Cx32. Suitable for use in Western Blot and Immunohistochemistry. Western Blot: 1-5 ug/mL. 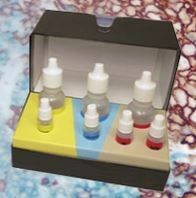 Immunohistochemistry (4% paraformaldehyde): 0.5-2.0 ug/ml.